I had some small pieces of journal paper and some leather that I just could not throw away..
What do I do make another mini journal only this one is only 1" square! I must say it was a wee bit awkward sewing in the pages but I DID IT!! 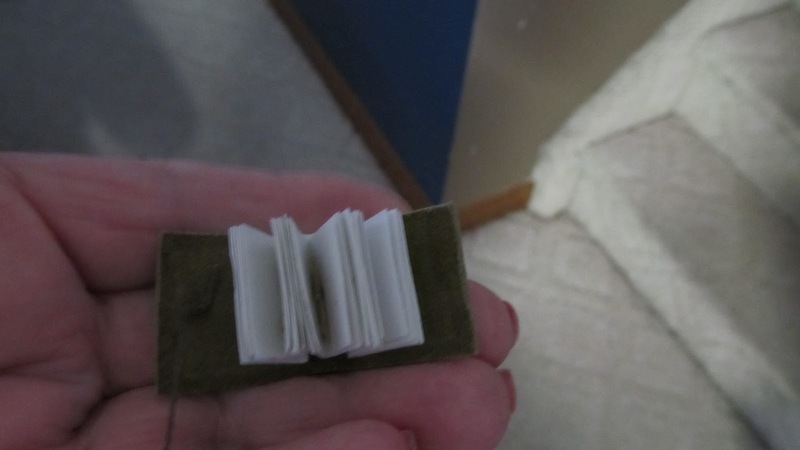 Well - I thought your journals were amazing, the small ones fabulous - but this teeny one - it's awesome. 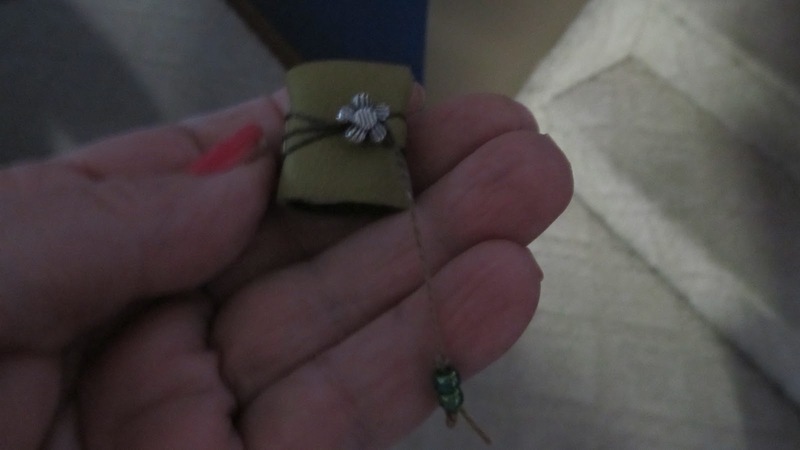 With my arthritic bent fingers, I would have a job making a bigger one - so can only drool in admiration at your inch one! oh my - my eyes are crossing just thinking about working this small! By bi-focals don't 'focal' to that degree. Good for you! Oh this is awesome!!!! I've been wanting to try some smaller ones, I don't think I'd go quite this small. Love it! Oh WOW! This is just way too cool! Any chance you will turn this into a wearable piece of jewelry? Precious absolutely precious. I just don't know how you do it!!! !